Inspired from a long-term love affair with Santorini, and a passion for Greek food and life, Alatonero offers you a true taste of the Greek Islands without the airfare! Alatonero is all about sharing our love of food and wine, stories and bringing people together. Located in the heart of the Mornington Peninsula, directly opposite the stunning foreshore and iconic lighthouse in McCrae. Bright, breezy and bursting with the Mediterranean colors of santorini, the restaurant across the road from the water offers a stunning mezze style menu of Greek favorites including both traditional and modern dishes. Whilst our food is unmistakably Greek, we aim to source as much local produce as possible such as honey, coffee, local olive oil, Victorian seafood, local lamb and goat and local wines. We warmly welcome you to our Greek table and look forward to sharing our love of Greece, food and wine with you very soon! Jacqui Poulier is the proprietor of Alatonero and was the founding proprietor of the highly acclaimed Stillwater at Crittenden restaurant as well as Freshwater Catering. Jacqui has over 25 years experience in the hospitality and tourism industry, starting out at 13, washing dishes in the local pub. From here her lifelong passion for the industry was sparked and she embarked as a chefs apprentice at 16, working in a variety of kitchens throughout Victoria. Following this, Jacqui completed a business management diploma at William Angliss institute, whilst managing restaurants throughout Melbourne. 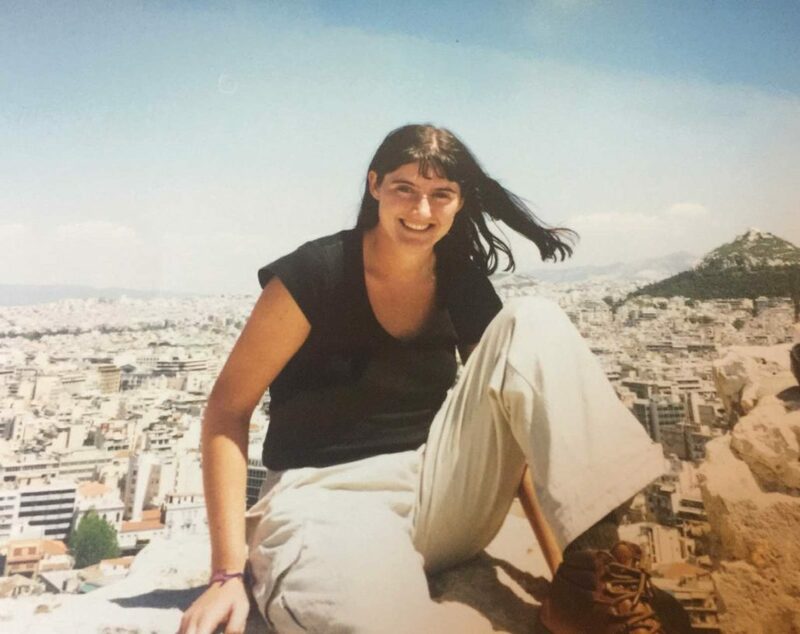 Jacqui spent 5 years travelling and working in a management capacity in hospitality as well as a dive instructor in Greece, London and the Cayman Islands. Having lived and worked in Santorini in her early 20’s, Jacqui fell in love with Greece, its people, cultures and food. After a trip back to Greece in 2012, the seed for Alatonero was planted and the site formally knows as the McCrae Pavilion was earmarked in 2013. However the timing was not right and Alatonero had to wait a little longer. Not for that long however, as in Winter 2016, the McCrae pavilion was offered for sale and Alatonero was born. After a complete interior refit complete with hanging lobster pot lighting, hand painted artworks and locally made cushions and crockery, Alatonero opened its doors in October 2016. Jacqui is passionate about the hospitality and tourism industry and everything pertaining to it. She is particularly interested in mentoring and training the next generation of tourism/hospitality professionals as well as ensuring her businesses are run in such a way that all involved can profit from the experience.